It’s not surprising that Mr. Balanchine, the father of neo classical ballet, is an Aquarius. His imagination and vision were well ahead of his time. He had a talent for bringing out the individuality of his dancers and bringing them to the edge of their capability. Yet, he also cherished the oneness of his dancers, and took pride in his collective vision of perfection. As the 11th sign of the zodiac Aquarius sees the big picture, and needs to make a special contribution to the future- whether this involves a community, social movement, or humanitarian cause, Aquarius is born with a mission. Mr. Balanchine’s devotion to his dancers, which eventually (with the assistance Lincoln Kirstein) became New York City Ballet, is now historical, yet still lives in the future as through his creation of the Balanchine technique. Musicality was Mr. Balanchine’s greatest gift, as he had great respect for music in its own right. With the Moon in Pisces, the most musical sign of the zodiac, he had a natural sense of rhythm, and flow. A trained classical pianist, he likely could just as easily been a composer. With his rising sign in Cancer, the sign of family and nurturing, Mr. Balanchine was comfortable taking on a father role-feeling personally responsible for the welfare of his dancers, and taking care of them. He was known for his generosity and loyalty, for once a dancer was chosen to ride under his wing, the sky would emerge and reveal the brightest stars. Boris Lermontov: Why do you want to dance? Victoria Page: Why do you want to live? Boris Lermontov : Well I don’t know exactly why, er, but I must. Victoria Page: That’s my answer too. Moira Shearer is most famous for her starring role in the classic dance film, The Red Shoes, directed by Hollywood icon Michael Powell. Born on January 17, 1926, Ms. Shearer is a Capricorn. As the zodiac’s 10th sign, Capricorn is the zenith of the zodiac, and thrives on ambition. Saturn, the planet of realism, is Capricorn’s ruler. Thus, even though Capricorn has high hopes, she (or he) is not afraid to work hard-because it builds character, Capricorn’s most notable virtue. With her moon in Pisces, the zodiac’s most imaginative sign, Ms. Shearer was also a dreamer who was known for her sensitivity. Her Leo ascendant made her a natural performer who adored the spotlight. The sign on the ascendant, (or rising sign), reflects ones public image, physical appearance, and demeanor. Her infamous red hair and dramatic eyes gave her a lioness quality that is quintessentially Leo. Abraham Lincoln has the strongest Terpsichore Signature of all the U.S. Presidents. What’s really interesting is his Terpsichore placement matches that of two other notable figures in history, Shakespeare, master of words and Michael Phelps, master of strokes. 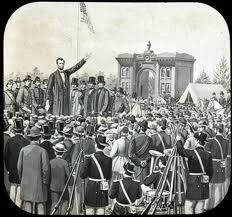 Lincoln, perhaps could be seen as the master orator. All these men, in this way, were the master of rhythm, the rhythm of words, the rhythm of strokes, and the rhythm of speech, all within the context of flow in this human dimension we call time. So, what is it exactly that these three men, Abraham Lincoln Michael Phelps, and William Shakespeare share, in regards to Terpsichore? How exactly does Terpsichore tie them all together? They all have Terpsichore tightly joined with the most spiritual part of the horoscope, the North Node. There is actually an asteroid called Valentine. It happens to be in the last degree of Pisces. 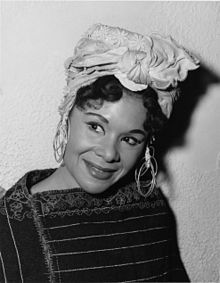 Anthropologist and dancer Katherine Dunham happened to have Valentine in this same degree in her natal horoscope. Pisces can be pretty selfless when it comes to love, especially when it’s at the very last degree. It’s like the last drop of rain falling into eternity…pure,open, and cleansing. Lets also remember Pisces is the ‘dancing’ sign of the zodiac. It’s clear dance is where Katherine Dunham’s heart was. Today, we can experience a little taste of the dancing spirit in our hearts! A violin concerto, Chopin, some African Drums, or even just the simple joy of hearing ‘Happy Valentine’s Day’! Let it make your spirit dance just a little…just for a day! Today, you may feel in your heart what it’s like to be a dancer! DWTS Champion Donald Driver Carries Aquarius to the Top!! DONALD DRIVER’S AQUARIUS TERPSICHORE IN THE HEART OF THE SUN! WAS A DANCING WITH THE STARS WIN IN THE STARS? Finally! The planet of inspired action goes direct in perfectionist Virgo. Mikhail Baryshnikov has Mars in Virgo- a great staple for what this placement is really capable of…physcial excellence. Virgo reflects the perfectionism required for ballet…the pure focus on technique. You can either do it or you can’t. There is only one right way to do it, so you must master the ‘how’ to be proficient. Much of the artistry is in the technique itself. This is what ballet training is all about and why it’s best for dancers to start training very young if they want to be a professional. Exactitude is a prerequisite for brilliance. Honor your health and speed through work projects in an orderly fashion. Get physically tuned up, and you’ll run like a brand new machine. Have fun! Let yourself breathe and be picky about your creative endeavors. They have to reflect the true you. Children give you motivation and confidence. Get your private life together. Be meticulously courageous when it comes to settling family issues. In other words, pick your battles carefully. Get clear about your negotiations. Have your facts straight. Assert your true intentions. Your fiery logic shows you can’t be pushed around. Do do the numbers. Do they add up? If not, be diligent in getting the right answer. For there is a right answer, especially when it comes to your hard-earned money. Your well-being is number one on your priority list. Fight for your right to do what you want to do. Have faith in your high expectations. Try something different. By that I mean make some important decisions about changing your psychological ‘process’. Make your steps small but well thought out. Go for the gold, after you’ve written down exactly how you’re going to get it. If you want to break the mold, make sure you know the rules first. Plunge forward with your best foot in your career path. You know what you’re doing. Now it’s time to prove that to others. Honoring your family gives you strength. Your intelligence can get you places you normally wouldn’t dream of visiting. Strive to make detailed plans for your own special journey, the farther away, the better. Be clear in the boundaries you create within your financial partnerships. Be aggressive with uncovering all fiscal details so you can be organized and at peace. It’s now time to put analyses to the test and approach your relationships with a clear sense of mind. Knowing exactly what you want invigorates your personal mission. If you enjoyed your reading, follow Dancestrology! 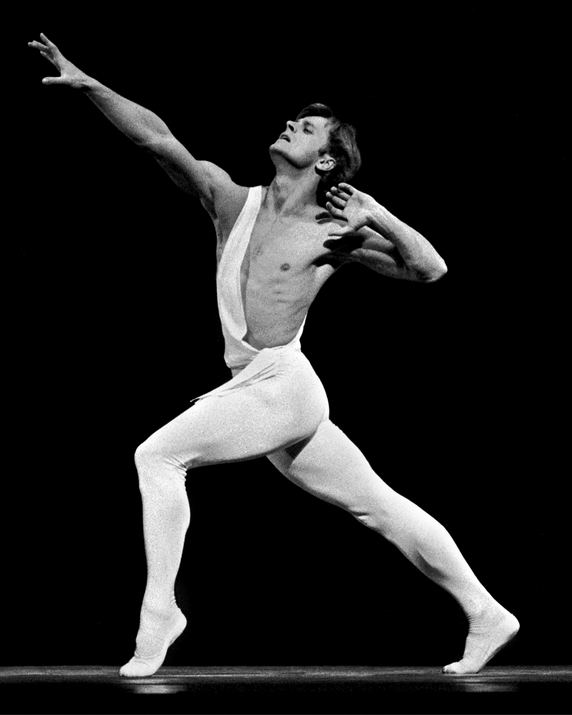 Mikhail Baryshnikov is a lovely portrait of Aquarius…inventive, adventurous…eager to change and experiment. This photo is a great visual metaphor of his going beyond the boundaries of not only classical ballet, but also Russia its self. Aquarians are daring souls! Of all the signs, they are the ones who are truly destined to experience the thrill of escape. Thriving off of ‘breaking free’ from restrictions becomes a life mission for them. With today’s Aquarius event, the question arises, what does one do once freedom has arrived? Spiritual philosopher Osho reminds us in his book, freedom, Courage to Be Yourself; there is a distinction between freedom ‘from’, and freedom ‘for’. Also, notice that ‘be’ is capitalized. There is great importance to being yourself! It can be quite a spectaculor, ongoing event! Mercury’s dance with Jupiter asks us: what can we make of our free minds? How can we transform our freedom into comfort, pleasure, and security? Today’s cosmic energy unleashes the answers to move freely all around us. Keep your eyes and ears open for something new. Most of all, open your mind as big as the belly of a whale… to a boundless reality that can hold the space to make sense of it all. A soaring Natalia Osipova in “La Sylphide,” choreographed by August Bournonville. 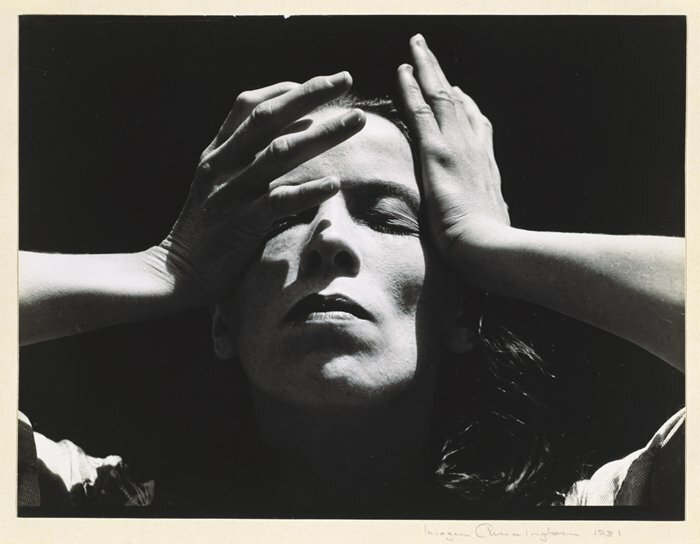 The intensity of Martha Graham is akin to the magic of Taurus. Martha was the perfect Taurus…strong, sensual, and earthy. Martha’s artistry connected us to the pleasure of physical feeling and sensation. Her dancing opened the door to the profound experience of having a soul housed in a body. To me, this is what Taurus is all about, the pleasure and pain of the soul’s journey through the physical plane. Tonight’s full Moon in Taurus shines on us like the light shines on Martha in this photo, bringing a revelation of divine physical sensation. So, lets treat ourselves to earthly delights on this day, whether it be though a dance, a glass of good wine, or a relaxing massage. Today Neptune turns direct at 28 degrees in Aquarius. Dance is enlivened with adventure as the spark of artistic inspiration touches humanity. Neptune rules dance, as well as the Pisces constellation. Many of the most memorable dancers are Pisceans, Rudolph Nureyev and Nijinsky probably being the most memorable. They were born just 5 days apart. Neptune is a powerful energy that’s expressed beautifully through imagery. It evokes mystical feeling, and to me, makes a dream come alive through the ‘windows of the soul’… I think this picture of Rudolph Nureyev says it much better than I could!